Yoona and Seohyun at the ambassador appointment ceremony at Dongguk University on July 17. The Girls’ Generation duo were appointed as ambassadors together with a few other celebrities, presumably also students and alumni of the university. Click pics for full res (~1500×1000). 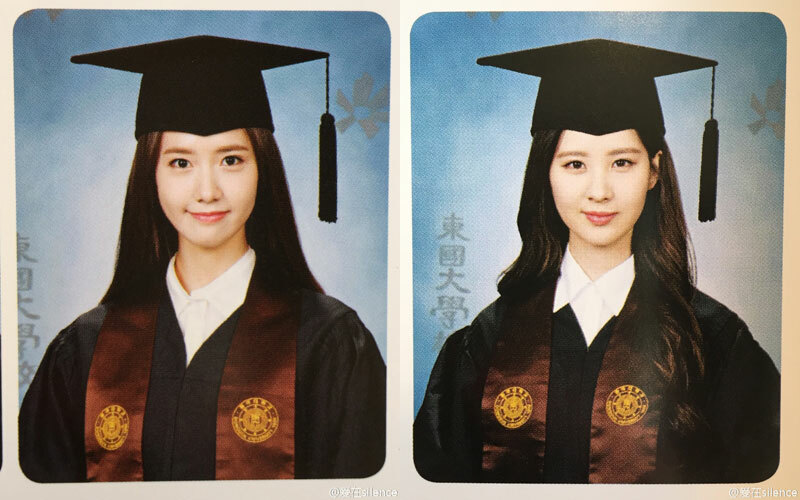 Seohyun graduated from Dongguk University after four years of studies. The SNSD maknae attended her graduation ceremony on August 21. She also received an achievement award for her contributions to society and the university. Click photos for full res (1000×1500). Congratulations Seohyun!!! Seohyun at Dongguk University scholarship award ceremony in November 2013. The SNSD maknae donated 100 million KRW (~100,000 USD) to the scholarship program for the university which she currently attends. Click pics for full size (~1200×675).